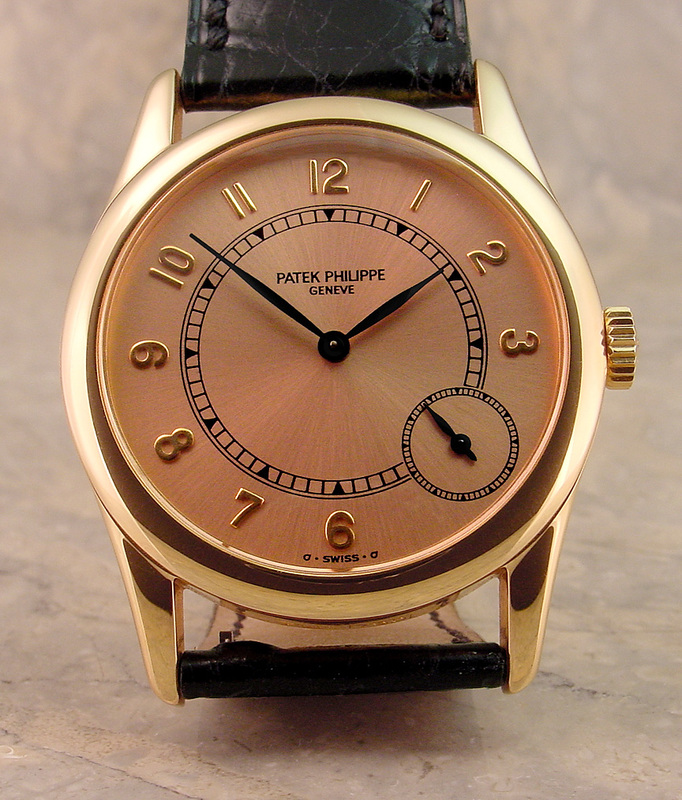 The Patek Philippe reference 5000, along with its substantially identical successor, the reference 5026, presents a distinctive variation on the traditional time only, small seconds design by placing the subdial at approximately 4:30. 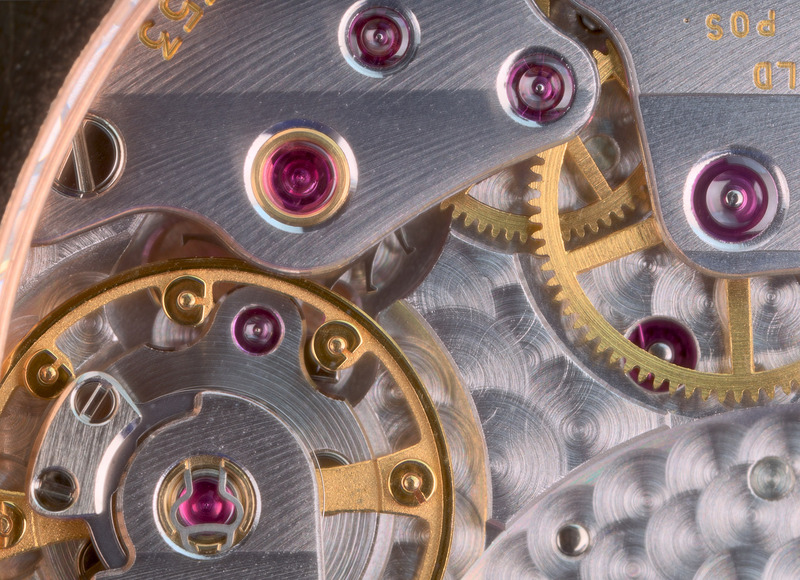 Also, the subdial is quite small, having its center almost in line with the outer ring of the minutes track, and extending to the very margin of the main dial, a consequence of the case being less than 3mm wider in radius than the 27.5mm diameter movement. This pleasant arrangement offers some aesthetic compensation for the otherwise rather small (by my own, and by contemporary tastes), scale of this watch at 33mm diameter, exclusive of crown. During its decade or so (from 1990) in Patek's catalog, this design was offered in a bewildering variety of combinations, including cases of platinum as well as 3 colors of gold, and dials in cream, black, blue, silver or anthracite, and sunburst as well as glazed finish. 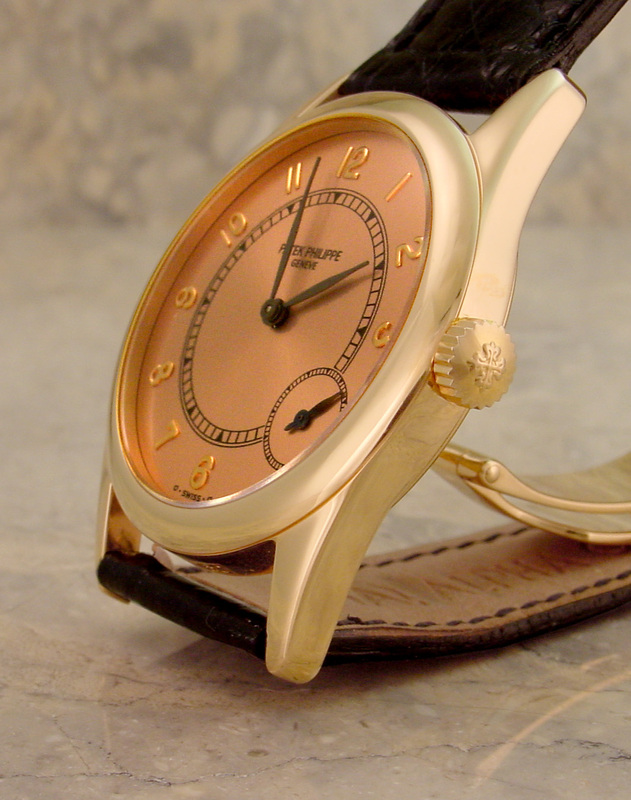 In addition, the hands often match the case material, and are of Breguet design, and there are examples using numerals within the seconds dial, and/or with the minutes track outside the hours, which as far as I know are consistently applied Arabics, although sometimes Breguet and upright, rather than plain and radial. 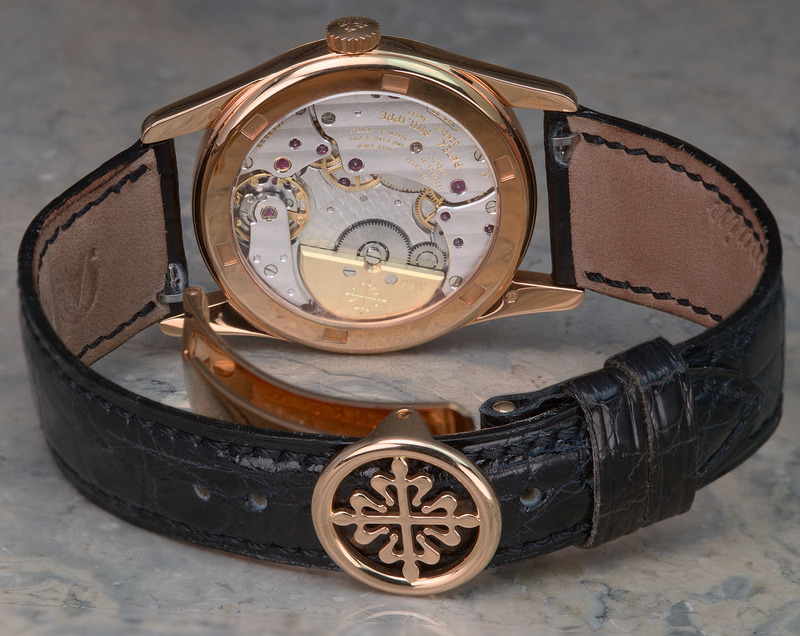 The present example is of pink gold, and has an unusual and beautiful pink/copper sunburst dial, and leaf-style hands of blackened gold. Click the pictures for even larger! As a whole, the 5000 is 33mm diameter by 7.5mm thick, with a medium-sized and very simple crown. The lugs are of the modern, integrated type, and are well suited to the very plain, slightly curved bezel, while the scale and placement of numerals and hands is quite proportional and balanced. The effect of this entirely unobtrusive package is to focus attention on the dial, and in proper Calatrava tradition it is indeed a simple and sedate affair with minimal markings and lots of open space. I believe it is that space which allows this watch to appear a bit larger than its actual, modest size, as well as highlighting the meticulous execution of each detail. In this rather ascetic atmosphere, the location of the subdial counts almost as whimsy, and is one of the reasons I was attracted to this particular watch. 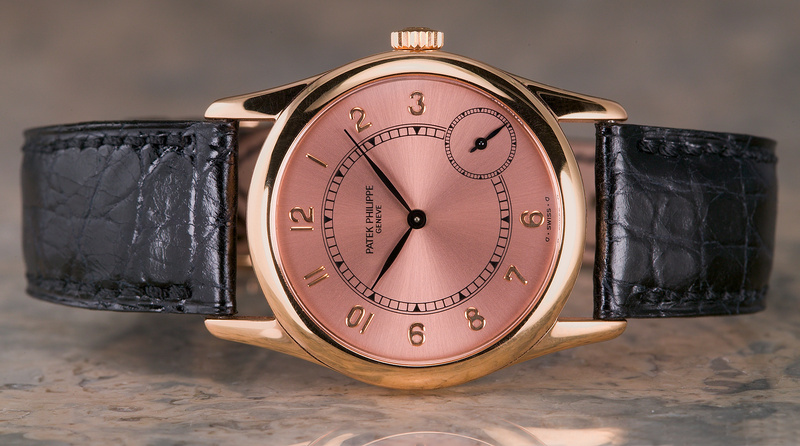 The caliber 240 PS was introduced by Patek in 1977, and in this most basic form is 27.5mm diameter by a mere 2.4mm thick, truly ulta-thin! 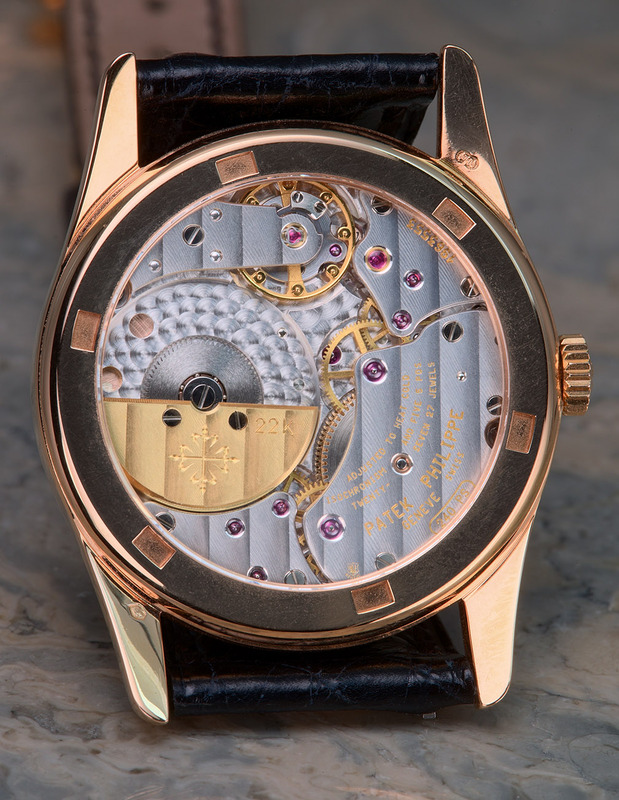 Contributing to this accomplishment is the integration within the height of the movement of a micro-rotor for automatic winding, and the use of a flat hairspring. The relatively wide diameter accomodates a decently large balance as well as the rotor, and also allows for a mainspring large enough for nearly two days (46 hours) power reserve. 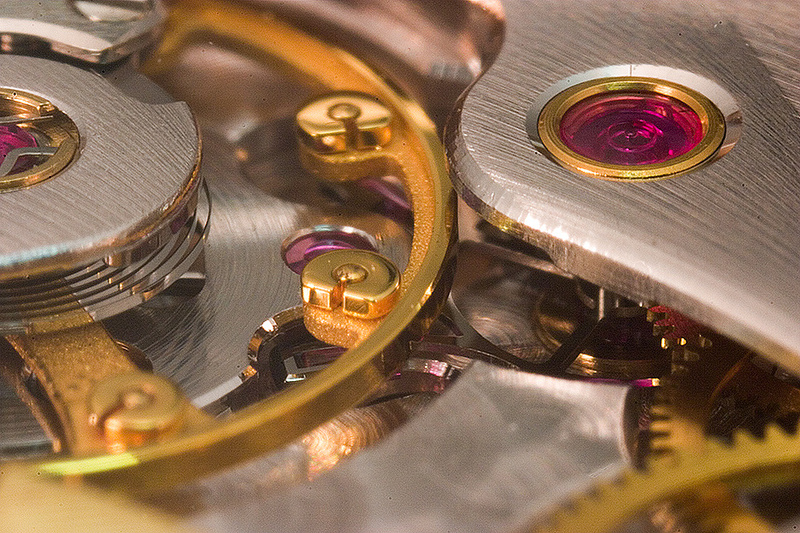 Though lacking a Breguet-curved hairspring, the 240 is otherwise equipped in very proper fashion with a free-sprung gyromax balance carrying eight rotating weights, and has been thoroughly adjusted to five positions as well as temperature and isochronism. 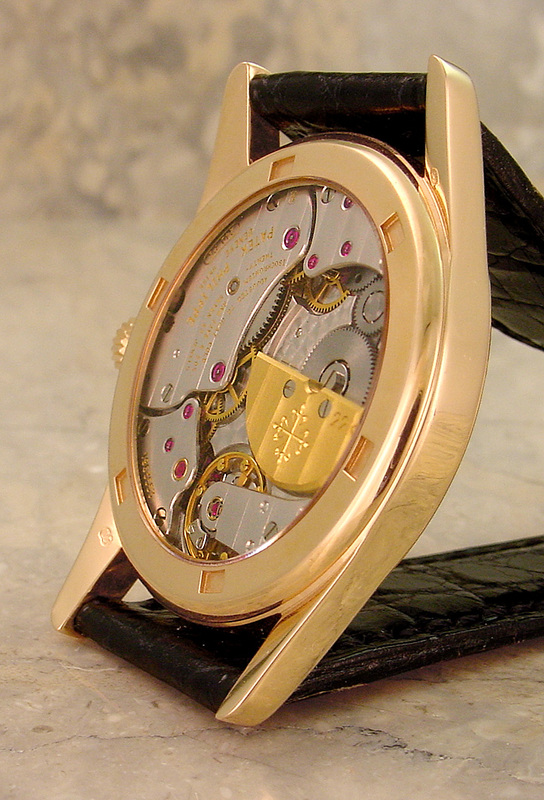 Like all Patek mechanical movements it carries the Geneva Seal, and its finish (as seen through the back crystal) is functionally very clean, if not quite as highly decorative as some newer competitors (specifically, Chopard's L.U.C. movements, as well as Lange's). The 240 has evidently proven to be a most reliable and robust design, often being equipped with modules for additonal functions such as second timezone, power reserve and even perpetual calendar. Although very thin and dressy in style (especially on its current, glossy black strap), the 5000 does not seem to me at all a fussy or fragile watch, and I unhesitatingly enjoy it as an everyday timekeeper.